What if your team looked forward to Mondays instead of Fridays? It may sound silly, but this type of workplace culture is possible and in place in many organizations today. 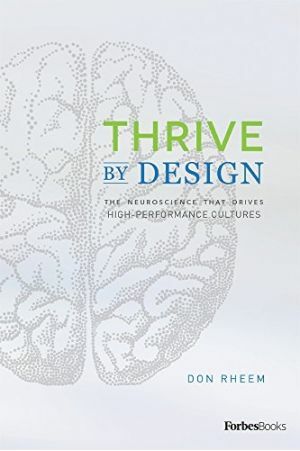 With Thrive by Design, CEO of E3 Solutions Don Rheem offers managers and senior leaders deep insights into what drives employee performance from a brain-based perspective. 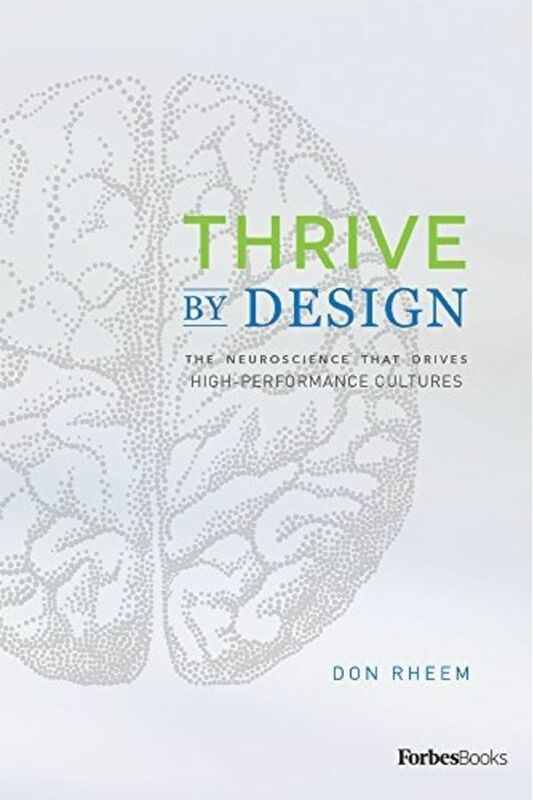 Going well beyond the recycled, superficial tactics in most leadership books, Thrive by Design introduces you to the triggers of exemplary workplace behavior at a neurological level. Tapping into these triggers leads to increased productivity, well-being, accountability, and retention. As you apply the practical approaches and tools outlined in the book, you will see less absenteeism, corrosive gossip, employee drama, accidents, and quality shortfalls. Don Rheem is CEO of E3 Solutions, a provider of employee workplace metrics. Don is a former science advisor to both Congress and the Secretary of Health and Human Services and a popular speaker, author, and thought-leader who lectures on employee engagement throughout North America and Europe to help CEOs understand the key drivers of exceptional workplace behavior. As a featured TEDx speaker, Don recently presented some of his most popular content in Can Work Save Our Relationships? at TEDxBYU. He has more than 30 years of experience helping organizations derive more value and impact every day.